Thanks for that, i was checking out darn cheap fabrics and was wondering about the fabrics there. 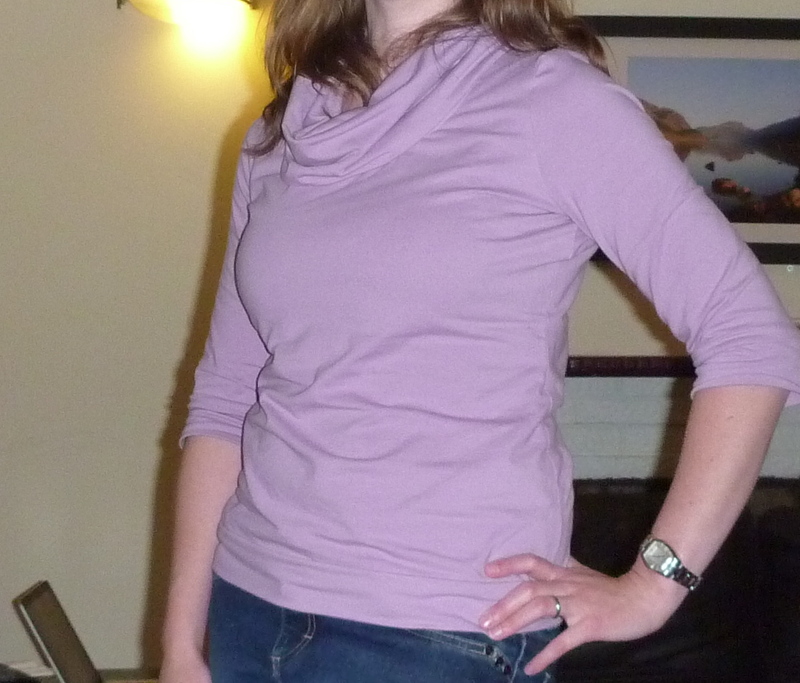 I made the round neck long sleeved renfrew in black jersey for my first one, its great! It’s such a wearable item, this pattern is going to get some pretty heavy use I think! The other good thing about Darn cheap is the staff are really helpful. Even on the website, if you order fabric and need matching thread they will match it for you! Love the colour. I finally found some stretch fabric but haven’t bought it yet – I want to make view C but 2m of fabric?? I used well under 2m, but I didn’t lay it out the best way so the offcut was big, but strangely shaped. The cowl is huge, but you might get away with 1.5m? Think I’ll give it a go. 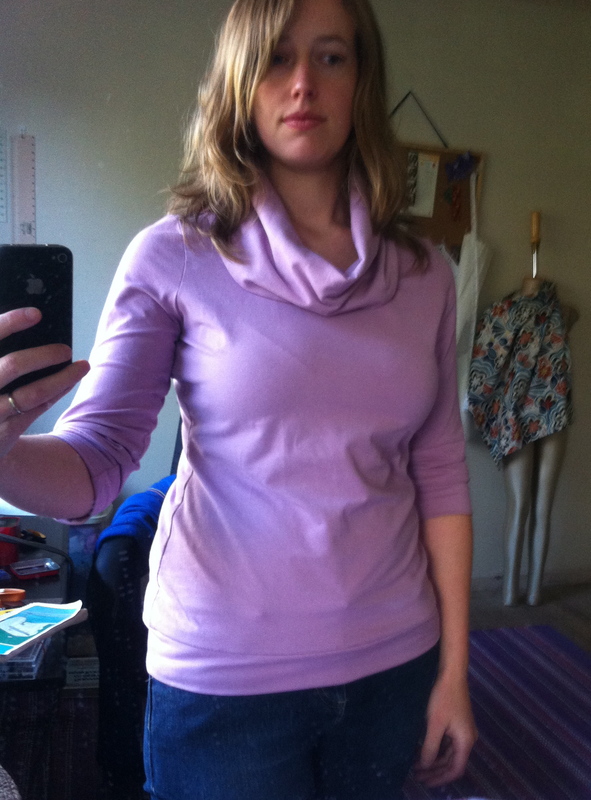 Might buy a plain for the cowl and a stripe (finally found some!!) for the other version. It looks great. Not homemade looking at all, and so wearable. Looks fab! I love the colour on you. I’ve just discovered your lovely site Sarah, you’ve written some extremely helpful information, especially about the FBA which I’ve never attempted but definately need it seems. Spotlight have some stripey knit that I think would make a great Renfrew, although it’s $14.99 per mtr. The renfrew has to be the most comfortable pattern:) I’ve just picked up some ponti from tessuti for another one!